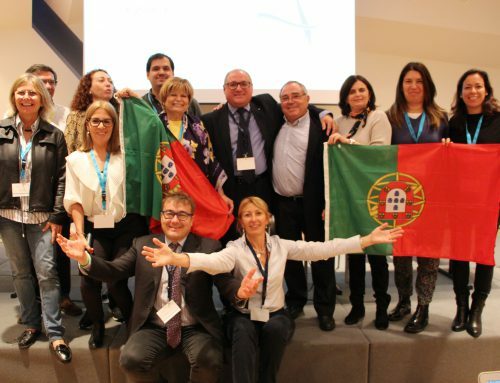 The ‘Erasmus + 2021 – 2027: towards a more inclusive programme’ was held on the 22nd January 2019 at the European Parliament and it was co-organized by MEP Damiano Zoffoli (MEP) and Luigi Morgano (MEP) from S&D group and the Erasmus Student Network (ESN). 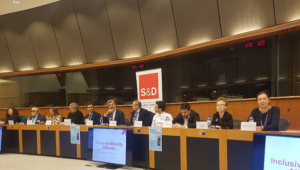 The Inclusive Mobility Alliance recommendations were presented at the beginning of the conference, moderated by João Pinto (President of ESN). MEP Damiano Zoffoli initiated the discussion highlighting some surprising figures: there are 9 million students benefiting from Erasmus+ every year. Even though it is a remarkable figure, it only represents 8% of the students in the EU and less than 1% are students with disabilities. Therefore, the number of students with disabilities taking part in exchange programmes is remarkably low. 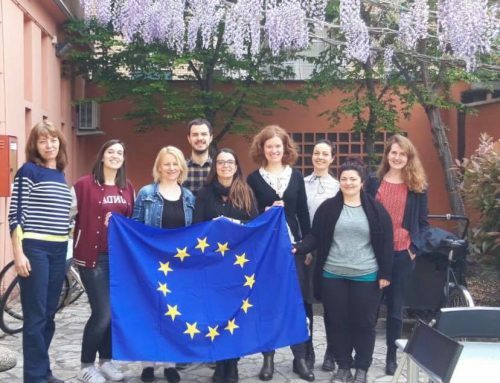 Dominique Montagnese, the Project Coordinator of the Inclusive Mobility Alliance, stated that Erasmus+ is still seen as an elitist, not inclusive programme by the students with special needs. Departing from this fact, they decided to create the Inclusive Mobility Alliance, gathering partners from different fields around Inclusive Mobility. The final result is a document consisting of 17 recommendations relevant to all stakeholders at EU, National and Local level, aimed at making the Erasmus+ programme more inclusive for everyone. Even though the guidelines are focused on Disability, Youth and High Education, it can be extended to other fields such as Vocational Education and Training and Adult Education. 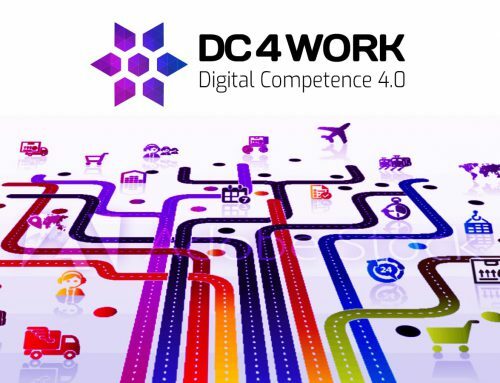 Some of the most relevant recommendations include training the staff in charge of Erasmus+ at all levels on working in an inclusive way, providing an online platform on Inclusive Mobility, reward inclusiveness in Erasmus+ and having an Inclusive Office inside the National Agencies. Tatjana Babrauskiene (EESC) opened her intervention evoking the fact that Erasmus + was initially designed as an inclusive programme. But is it today? There is room for improvement and one of the most important aspect in supporting students with special needs are the organizations working on the ground. She also pointed out that VET is still left aside and the Inclusive Programmes should be extended to all institutions. Yannis Vardakastanis (President of the European Disability Forum) welcomed the Recommendations as a roadmap to achieve inclusiveness. He stressed that Erasmus+ is obliged to create all the accessibilities and facilities in order to allow the students with disabilities to enjoy their rights in equality with the rest of the citizens. This can only be achieved if we put in place measurable and practical actions that address the needs of the people on the ground. Even if Education and Inclusion are competences of the Member States, Mr. Vardakastins’ position is clear: the EU have a legal base to act, the Convention on the Rights of Persons with Disabilities. Audrey Frith (Director Eurodesk) offered an information perspective. She acknowledge the fact that when it comes to information, the Inclusiveness part has not been developed enough. This is a fundamental aspect given the fact that access to information about mobility is an essential aspect for supporting student with disabilities. Agnes Sarolta Fazekas (European Association for International Education) stressed the broad diversity of students and the significance of the year 2019 around encompassing diversities. Building a more inclusive mobility remains a challenge for the organizations on all levels. On the same line, Michalis Moschovakos (European Commission DG EAC) has also emphasized that the Recommendations came at an opportune moment since we are in a period when the future of Erasmus + is being discussed. He is confident that Erasmus + will be more inclusive in the future as they are willing to listen to the obstacles that people are facing and translate them into policy. Social Inclusion is on the EU Commission Agenda. 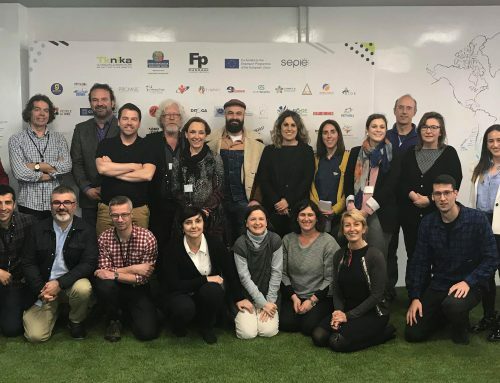 Koen Lambert (Director JINT and SALTO – Youth Inclusion representative) agreed with the fact that the Recommendations are a wakeup call coming at the right moment as there are still several obstacles for an inclusive participation in the mobility programmes. MEP Luigi Morgano reflected that the problem is that information and communication are not reaching everybody. We have to think about inclusion not as related to a mass of people, but to every single person. The Inclusion programmes need to be protected and accessibility is a right for everybody. Finally, João Pinto concluded this fruitful discussion with a reflection: ‘’When speaking about Unity in Diversity in the EU, we shouldn’t only speak about different nationalities but also about different needs’’.